Home Blog Beware of Learner Drivers! When teenagers turn seventeen the first thing they think about is getting their provisional license, taking a theory test and passing their driving test as soon as they can. These things all involve huge costs, a lot of time, and pressure, but once it is all done a weight is lifted. By making one small mistake, you could fail your whole test. When you pass your driving test you gain independence and any seventeen year old wants to be out and about with their friends. There has always been a war between men and women on who are the better drivers. Figures show that 1.3% of men pass their test first time, with no errors whereas only 1% of women ace their test first time. Around 48% of learner drivers pass their driving test first time and the best results in Britain come from Scotland. The results show that 9.8% of women in Arbroath and 8.3% of men in the Isle of Mull perfect their tests. 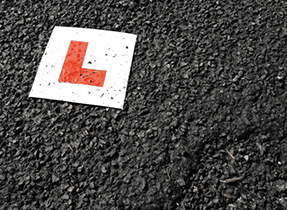 Recently, it has been revealed that nearly fifty four thousand learner drivers have points on their provisional licence. Meaning, before even getting their full licence, thousands have committed manoeuvres that are dangerous and possibly even life threatening. More than half of these offenders have been done for speeding and forty percent have been penalized for going through a red light. Other offences include careless driving or a lack of insurance. These offences are usually brought down to inexperience rather than intentionally driving dangerously. When preparing for your driving test you must make sure that you learn the basics. If you are struggling with anything, make sure to sit and practice it until you have got it perfect because then driving as a whole will become a lot easier. Take on board everything you learn for your theory test because it will help you massively when driving on the road. Practice on all types of roads; don’t stick to an area you know well. Venture out and make sure to practice on ‘A’ roads as well as the small quiet roads. If you have someone to practice with you, make sure to spend time out of lessons to perfect your driving, as they say, practice makes perfect! Also, practicing in as many weather conditions as possible is a good idea because you never know what you might get on the day of your test. Before you think of doing your test, you must do a few mock tests with your instructor so that you know exactly what a test will be like. The night before your test, ensure that you have everything ready including both parts of your provisional licence and your booking confirmation. If you forget any of this, you will not be able to take your test which will mean you have to wait even longer to get your full drivers licence! Also allow yourself enough time to get to the test centre and take into consideration any traffic or road works on the way. It’s better to get there too early than too late!